I was SO excited when my friends from SmileMakers offered to send me one of their products to review. The hardest part was picking just one out of their thousands of amazing products! 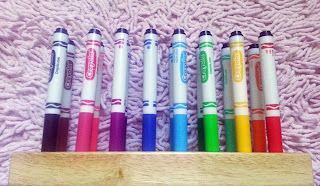 They have everything from stickers to crafts, activities and bulletin board sets. Not to mention tons of awesome prizes for your students! After much hemming and hawing, I finally settled on the 16 Hole Marker Stand. Isn't it gorgeous?! 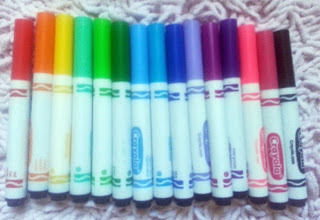 I have been trying to create a more beautiful and organized space for my students. This marker stand will do just that. It is a beautiful block of wood with a nice shiny coat of polyurethane on top (or something like it... I am anything but a carpenter!). I can't wait to pop this beauty into my writing center. I also love that it is beyond easy to use. 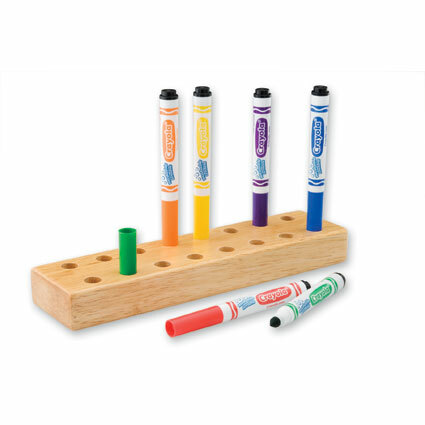 To set it up you just push the markers into the holes. Two seconds and DONE! 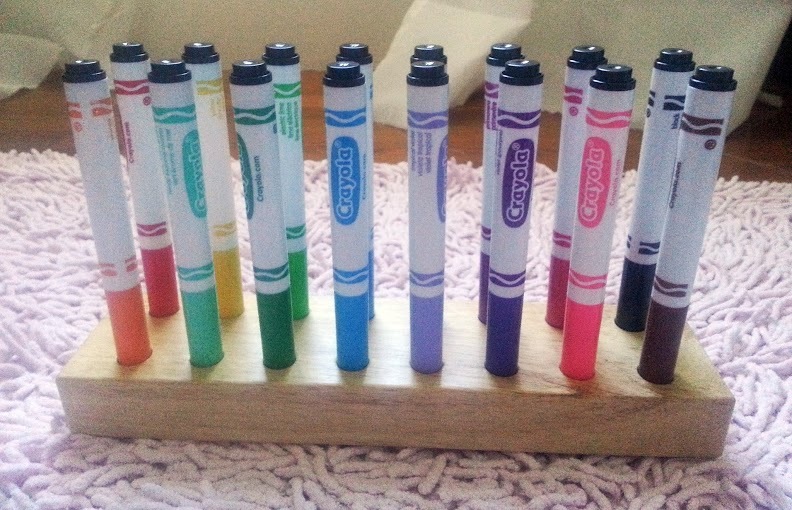 This stand will also make it easy for my little ones to find the color they are looking for, and pop the marker back into it's cap. 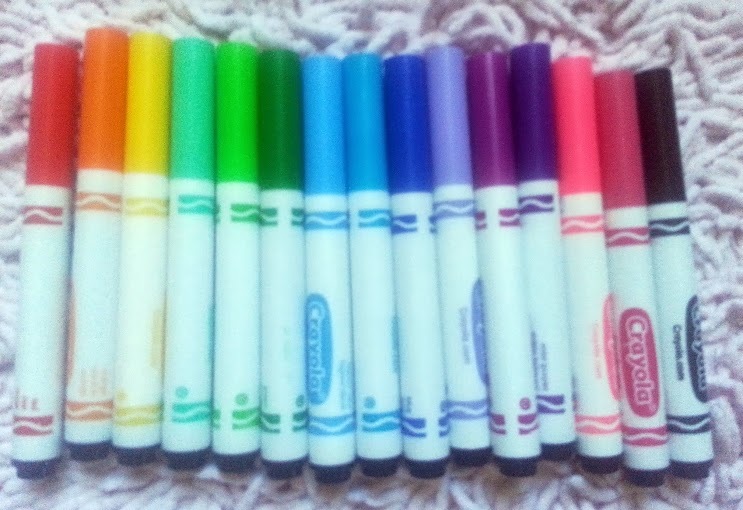 My biggest pet peeve is dried out markers, so I am extra excited about this one! 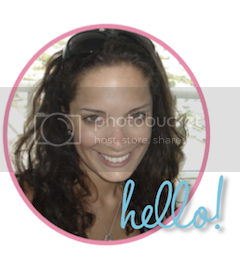 SmileMakers offers Teacher Perks, added savings, just for teachers. Teachers will receive free shipping with any order of $49 or more or $4.99 flat rate shipping with any order of $48.99 or less. Teachers will also get special private sales & free gift offers! SmileMakers also has a special discount just for my readers! To receive 10% off, no minimum order required, plus FREE Shipping with any order of $29 or more use promo code SMILE25 at checkout. Free Standard Shipping valid in the contiguous United States and Canada. Offer expires 9/27/13.